Dissolving sugar in water is a common enough sight. Dissolving two liquids in each other is less commonly noticed. Put 5 mL of rubbing alcohol in one test tube and put 5 mL of water in the second test tube. Now use the pipette to transfer the rubbing alcohol to the water test tube. Now look at the volume of the mixed test tube. If the two liquids mixed but didn’t dissolve there would be 10 mL of liquid in the new test tube. How many do you see? Can you find any other liquids that will dissolve in each other? 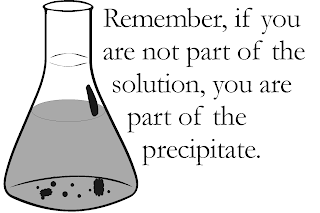 The rate at which a reaction progresses depends on the temperature of the reaction. This experiment lets observe this first hand. Fill one test tube with hottest tap water available. Fill another with cold, cold water. Break an Alka Seltzer tablet into small pieces. Drop carefully into each test tube. See which temperature water makes the most popping and fizzing. 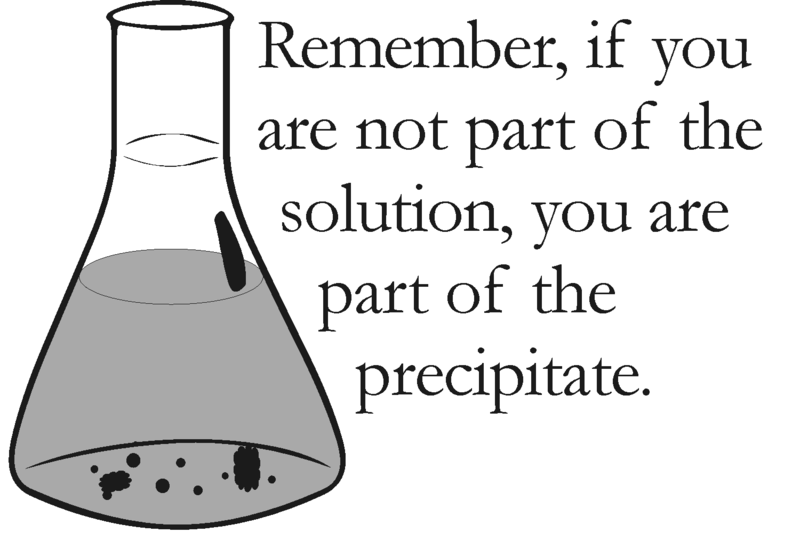 Remember, if you are not part of the solution, you are part of the precipitate. Joseph Priestley, born March 13, 1733, was an English natural philosopher known for his discovery of oxygen. As an avid supporter of the phlogiston theory, he called oxygen “dephlogisticated air” and fought against Lavoisier's characterization of it as an element.